Matt Damon (born 8.10.1970) Matt Damon is an American, Oscar-winning actor. 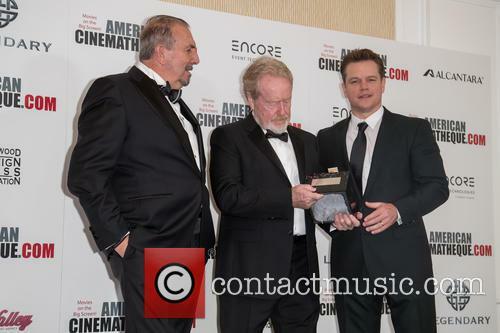 Childhood: Matt Damon was born in Massachusetts, to Kent Telfer Damon and Nancy Carlsson-Paige. His father was a stockbroker and his mother was a professor in early childhood education at Lesley University. When Kent and Nancy divorced, Damon moved with his mother and brother to Cambridge, Massachusetts. Matt's brother, Kyle, is an artist and sculptor. 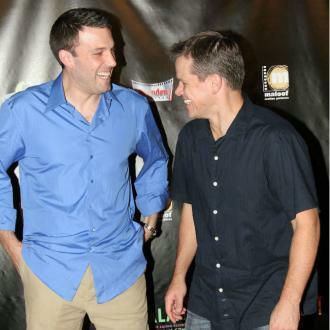 Ben Affleck and Matt Damon were childhood friends and have since collaborated on a number of films. Damon was also friends with the historian Howard Zinn and as an adult, narrated the audio version of Zinn's A People's History of the United States. 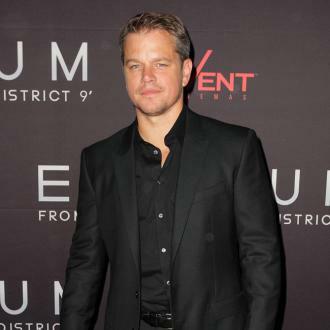 Matt Damon graduated from Cambridge Rindge and Latin School in 1988 and went on to study at Harvard University. He attended Harvard between 1988 and 1992 but never graduated, choosing instead to pursue his acting career. He appeared in Geronimo: An American Legend, whilst still at university. The filmmakers' expectations of its success are said to have been a contributing factor to his decision to drop out of university. 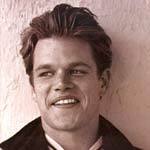 Film Career: Matt Damon's first film role came in 1988 when he was 18 years old. He had a single line of dialogue in Mystic Pizza, the rom-com that starred Julia Roberts. 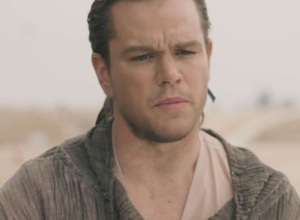 After Geronimo: An American Legend, Matt Damon appeared in Courage Under Fire, playing a soldier with a heroin addiction. The film also starred Meg Ryan and Denzel Washington. Damon and Affleck had written a screenplay entitled Good Will Hunting and, after seeking advice from friends such as Kevin Smith and Rob Reiner, the film was produced, earning them both an Oscar for Best Original Screenplay. Matt Damon also won the Best Actor Oscar and Robin Williams won the Best Supporting Actor Oscar for his role in the film. On the set of Good Will Hunting, Matt Damon met the director Steven Spielberg, who then offered him a role in Saving Private Ryan, the highly-acclaimed World War II film starring Tom Hanks and Tom Sizemore. 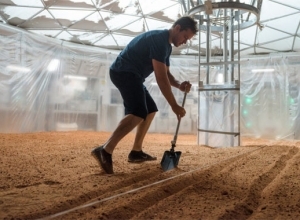 Matt Damon co-founded LivePlanet with Ben Affleck, Chris Moore and Chris Bailey. They created the reality series Project Greenlight, which sought film projects from fledgling filmmakers and helped fund the projects. 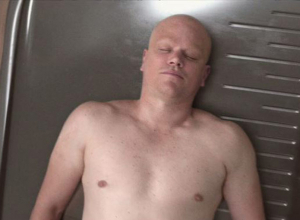 In 1999's The Talented Mr. Ripley, Matt Damon stars as a bisexual murderer opposite Jude Law, Gwyneth Paltrow and Cate Blanchett. He then went on to play a fallen angel in Kevin Smith's Dogma, in which Ben Affleck also starred. In Stuck On You, Matt Damon played a conjoined twin. Then, he wrote Gerry with Ben Affleck's brother, Casey Affleck and Gus Van Sant. 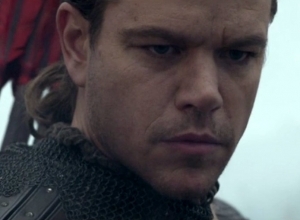 Two of Matt Damon's biggest hits have both been film franchises. 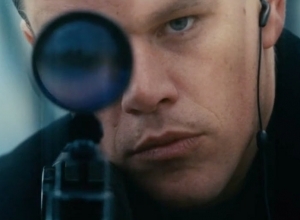 Firstly, he starred in the Jason Bourne trilogy - The Bourne Identity, The Bourne Supremacy and The Bourne Ultimatum. 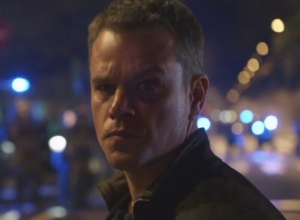 The Bourne trilogy also starred Franke Potente, Clive Owen, Julia Stiles and Paddy Considine. Secondly, he worked opposite George Clooney, Brad Pitt and Julia Roberts in the remake of the 1960's film Ocean's Eleven. The remake, by Steven Soderbergh, was so successful that they made two sequels, Ocean's Twelve and Ocean's Thirteen. Damon then went on to play the role of Wilhelm Grimm in the Terry Gilliam-directed The Brothers Grimm and in Syriana, he teamed up with George Clooney again, this time playing an energy analyst. In 2002, Matt Damon featured in Martin Scorsese's The Departed. The film, which received huge amount of critical acclaim, also starred Leonardo DiCaprio, Jack Nicholson, Ray Winstone, Mark Wahlberg and Martin Sheen. 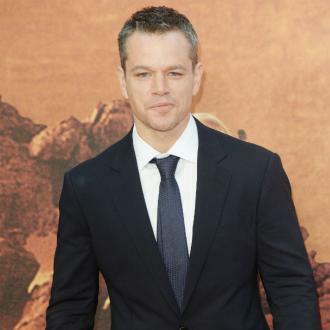 Personal Life: Matt Damon has been involved a number of high-profile actresses in the past. He was in a relationship with Winona Ryder for two years. He also dated Minnie Driver, his co-star in Good Will Hunting. 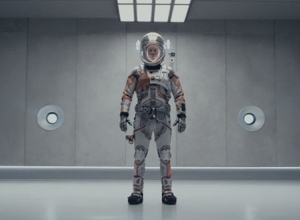 It has been rumoured in the past that Matt Damon was dating Eva Mendes, though both Damon and Mendes deny the claims. Matt Damon married Luciana Bozan Barroso in 2005 in New York. Barroso already had a daughter from a previous marriage and they had their first child together - a daughter, Isabella - in 2006. Their second child, Gia was born in August 2008. In January 2008, the comedian Sarah Silverman aired a video as a 'birthday present' to her boyfriend, Jimmy Kimmel, of a song she had written entitled 'I'm F*cking Matt Damon'. In response, Kimmel then made his own video, entitled 'I'm F*cking Ben Affleck'. A number of stars, including Perry Farrell, Harrison Ford, Cameron Diaz and Meat Loaf appeared in the riposte. He's put his foot in it with his former co-star. Matt Damon has managed to upset a lot of people by making some rather unwarranted comments about sexual misconduct in Hollywood. He tried to talk about some harassment cases being worse than others, and Minnie Driver has a lot to say in response to that. Obviously, all actors and actresses are being forced to comment on the recent slew of sexual harassment accusations within the film industry since the Harvey Weinstein scandal, but the problem is, some people just say the wrong thing. 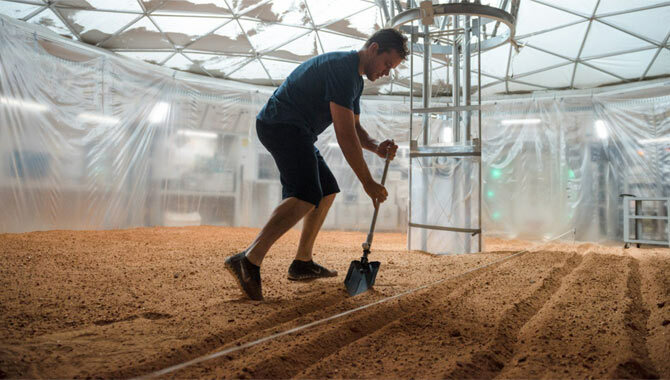 Matt Damon even made remarks that seemed to downplay a lot of what was being talked about. Matt Damon Harvey Weinstein Louis C.K. Damon condemned Weinstein in the interview, but claimed there was a "spectrum" on which abusers should be condemned and that some did not deserve to lose their careers. 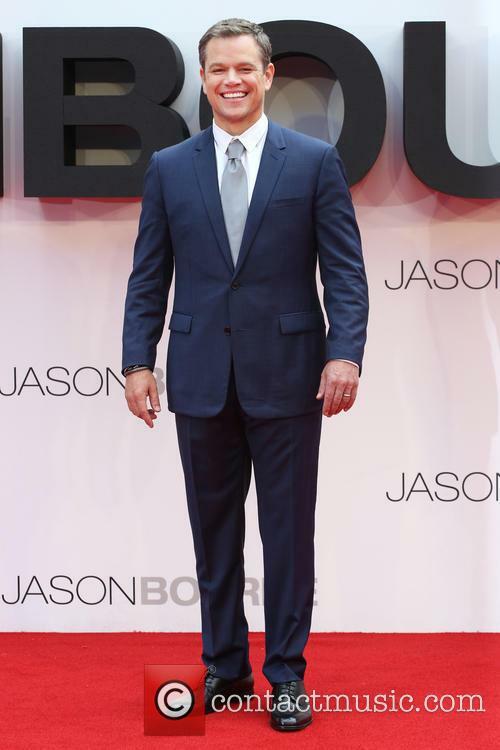 Matt Damon has stirred up controversy with a rather haphazard interview about the state of Hollywood in the wake of the Harvey Weinstein scandal, appearing to argue that men who have groped or harassed women should not be judged as harshly as they haven't molested children or raped women. The 47 year old star was speaking to ABC News journalist Peter Travers on Thursday (December 14th), and discussion turned to the sexual misconduct scandal engulfing the film industry following the revelations of widespread abuse and harassment perpetrated by Harvey Weinstein and others. He condemned the actions of the disgraced movie mogul, saying that he didn’t know about the details of his behaviour at the time, but admitted that they didn’t surprise him. The actor still had no idea just how predatory the producer was. Matt Damon breaks his silence on the Harvey Weinstein sexual harassment scandal, confessing that he was aware of Gwyneth Paltrow's experience after being informed by Ben Affleck some years later, but he insists that beyond that he never realised the true extent of his predatory actions. Just over two weeks since Rose McGowan publicly accused Matt and Ben of being aware of Harvey Weinstein's behaviour and subsequently keeping quiet about it, Matt opens up about precisely what he did know about the disgraced producer. He reveals that it was common knowledge that he was 'intimidating' and 'a bully', but naively thought Gwyneth's situation was adequately dealt with. The actor also addressed the President’s response to Charlottesville. 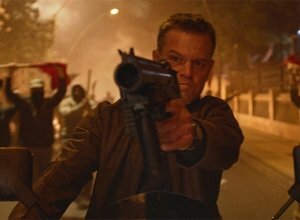 Matt Damon has claimed that Donald Trump insists on being written into any movies that want to film in one of his properties. The actor was speaking to the Hollywood Reporter and revealed that he had never met the President, but did share the insider gossip. But while Trump might insist on filming a cameo when he gives permission to use one of his buildings, his scenes often end up on the cutting room floor -as was the case with Scent of a Woman. 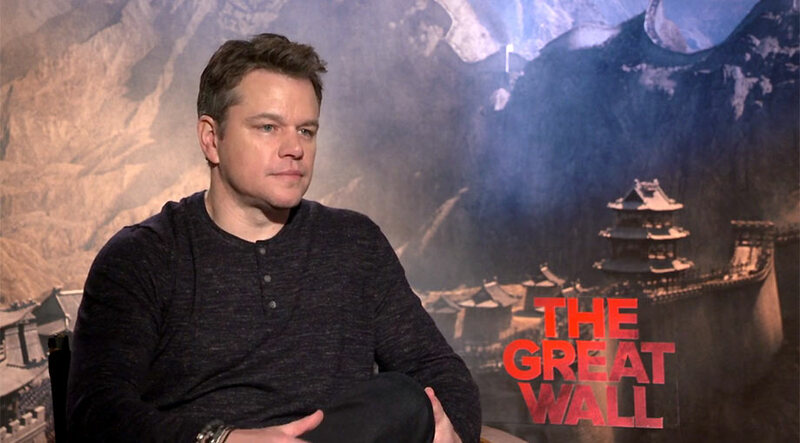 Matt Damon stars in the Chinese fantasy epic 'The Great Wall', as a young orphan from the west who is raised to fight in the army, protecting the world from the beasts that live on the oppoiste side of the Great Wall of China. He talks about how he's always wanted to work with director Zhang Yimou, the incredible scale of the movie, the logistics of having an international cast, the mythical story behind 'The Great Wall' and the folklore that informs it (including that of the great taotie), and of course his relationship with Pedro Pascal and their onscreen antics.